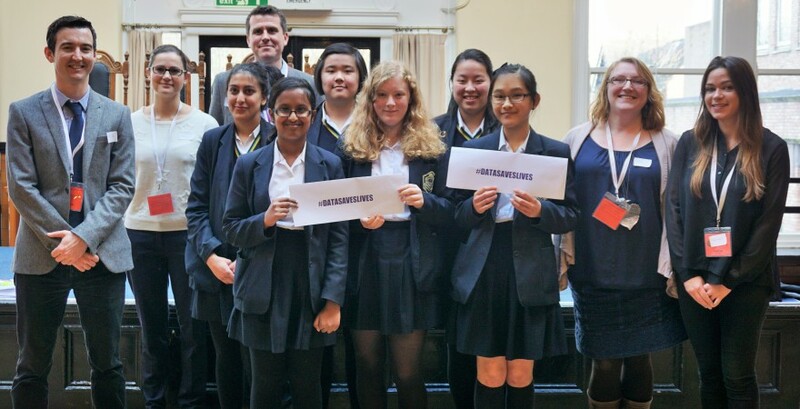 Over 40 school pupils experienced life as a health data scientist when they took part in an interactive workshop delivered by colleagues from the Health eResearch Centre (HeRC) and The Farr Institute for Health Informatics. 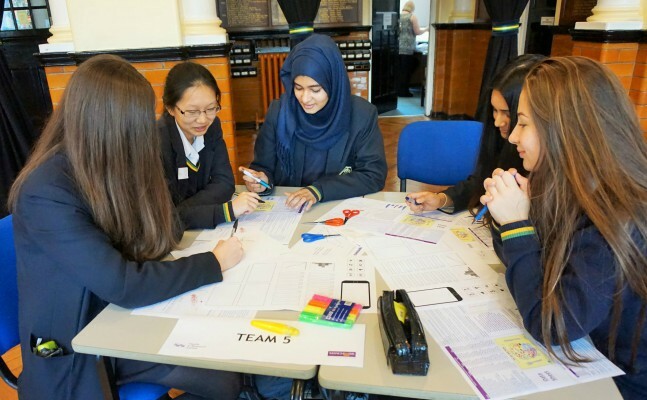 Designed to provide an overview of how data can be used to understand and enhance public health, the pupils, students at Altrincham Grammar School for Girls worked together in teams to link and make sense of data before creating public health ‘apps’. The apps were targeted at a patient group of the pupils choosing and were designed to help users understand more about the relationship between sugar consumption and tooth decay. Throughout the session, the GCSE Computer Science students were guided through the activities by researchers working at HeRC. This enabled the pupils to discuss informally not only the tasks at hand but also encouraged them to ask questions about careers in research and in particular careers in health data science. After a brief introduction about career across the health data science sector and the ways in which health data can be used in research, the students set-about critiquing a data set that hypothesised a relationship between violence on TV and violent behaviour in young people. The task was designed to encourage an understanding of the importance of data quality. Following this the students, working in teams of five and six, were given a ‘data wall’ with over ten pieces of information collected from a variety of reliable sources. The team were then challenged with linking different pieces of data together to identify a possible correlation between sugar and tooth decay. Buried within the data-maze was a variety of other information that allowed the 14-16 year olds to develop their thinking and consider other confounding and influencing factors such as age and social deprivation. Expanding on this knowledge the teams were then challenged to design a mobile health intervention for a specific group of patients based on the information contained within the data wall. The aim of the app was to help members of the public understand and visualise in new ways the amount of sugar in food and to generate valuable data that could be used by researchers to understand more about the publics’ attitudes to sugar. The teams worked in competition and, after designing their apps using a paper-prototype template, presented their ideas in a timed Dragons Den style ‘pitch’. The winning team designed an innovative social media style app that would reward adults for making healthy food choices for their children and utilise social media to help build support networks. The session was brought to close with a Q&A in which the pupils were invited to ask the researchers anything related to their careers. Alongside questions regarding qualifications and the ‘best thing about working in academia’ the researchers were further held to account over their rates of pay and their holiday entitlement! Following the workshop the pupils were asked to rate the session; 100% of the event participants rated the session as between Good and Excellent and described it overall as “informative”, “interesting” and “engaging”. In addition, 53% of the pupils indicated that yes, they would now consider a career in health research. “It was plain to see that the pupils thoroughly enjoyed the session. 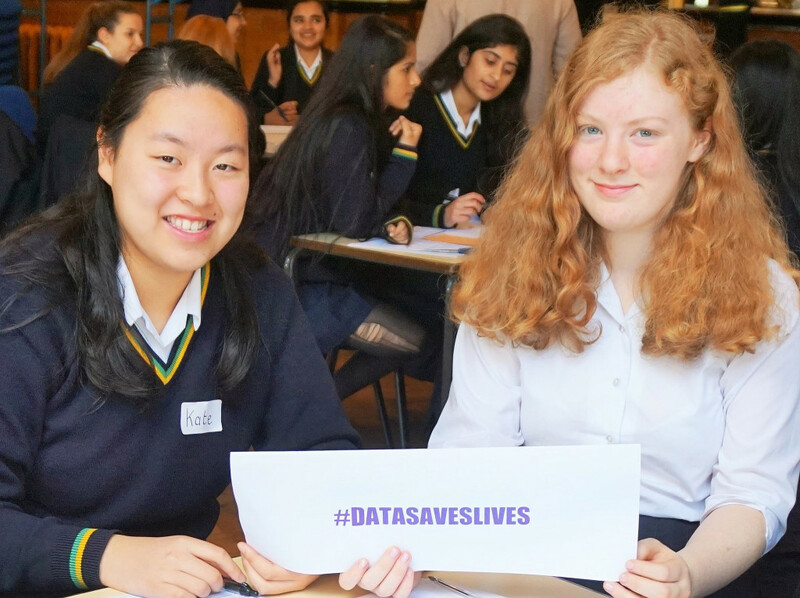 This was a lively & engaging workshop which really encouraged the pupils to explore the importance and impact that health data has on all of our lives. The mobile phone apps the pupils developed were educational & entertaining & illustrated perfectly the very real application of this subject in the world of work"